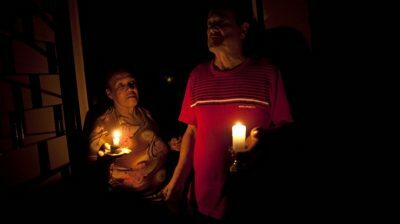 The American war on Venezuela continues to escalate with the sabotage of its electricity grid, the most serious action of all so far, which was not only an act of terrorism against the entire civilian population but also an attempt to shut down exports of Venezuelan oil. This is part of the American hybrid war strategy. Hybrid warfare is warfare that uses all domains of life and society to hurt and damage the targeted nation. 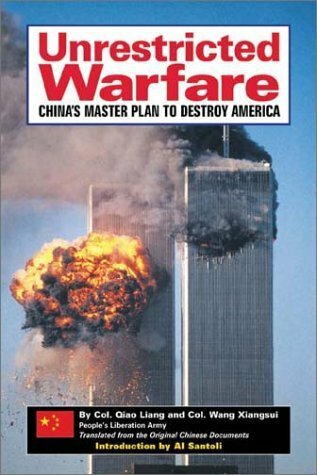 It was best defined by Qiao Liang and Wang Xiansui, two senior colonels of the Peoples Liberation Army in their famous book titled, Unrestricted Warfare, published in 1999 which proposed strategies and tactics that could be used by developing countries to compensate for their military inferiority vis a vis the United States during a high tech war. Published prior to the American cruise missile attack on the Chinese embassy in Belgrade during the NATO aggression against Yugoslavia, the book drew a lot of attention in the west for its proposition that a multitude of means, military and non-military could be used to strike at the United States in a conflict; hacking into websites, targeting financial institutions, terrorism, using the media, urban warfare, sabotage, crippling infrastructure, subversion, all the methods of what the Americans term hybrid warfare. Well, the colonels seem to have ignored the long history of the United States using exactly these types of methods against all its enemies weak or strong, of using unrestricted warfare, without limitations, in effect, total war on nations and peoples they target. They did not seem to understand that the Americans don’t give a damn what anyone else in the world thinks or whether anyone trusts them, which makes them all the more dangerous because peaceful settlement of disputes with them on an equitable basis is next to impossible. They are currently using these methods against Russia, Iran, China, Syria, DPRK, and of course Venezuela. All these tactics are, of course, elements of a war of aggression, which is the fundamental war crime, and now a crime at the ICC for which they could, in theory, be prosecuted. Yet, the ICC prosecutor sits at her desk, as his her custom, drinking tea while collecting a large salary and instead of stating that the US and its allies are committing crimes against humanity and war crimes against the Venezuelan people entertains a Canadian request on behalf of the Lima Group to investigate the Venezuelan government for “crimes against humanity.” We have to suppose for not giving all its oil to the Americans. Though Venezuela is a Party to the Treaty of Rome and so falls within their jurisdiction, for the Prosecutor to begin an investigation she has to be supplied with credible and reliable information deserving of investigation that crimes have been committed and crimes which the Venezuelan government is systematically ignoring or is part of. They have supplied no such information in their requests. All they have sent to the Prosecutor are unsubstantiated claims, bald statements echoing their political rhetoric. So there are no legal grounds on which the Prosecutor can act. However, there is overwhelming evidence and outright confessions, bragging in fact by the US, Canadian and some EU leaders that they are committing crimes against humanity against the people of Venezuela with their economic warfare, that they call “sanctions’ which are illegal under international law, and for supporting an internal coup attempt, for their conspiracy to commit aggression and lately the sabotage of civilian infrastructure, the electricity grid. Canada, with the US, and European nations, such as Germany Spain France and Britain, have imposed illegal sanctions, economic warfare on the people of Venezuela in order to force them to turn against their government by making them suffer. The sanctions are illegal because they violate the UN Charter. Only the Security Council has the authority to impose sanctions under Chapter VII of the UN Charter. They are also crimes against humanity because they amount to siege warfare, that is, causing the deliberate suffering of civilians in an attempt to overthrow a government. Venezuela to protect itself, is building support among the nations such as Russia China, India, Cuba, Turkey, Iran and many other nations that have just formed a group to restore the UN Charter as the heart of international law and in recent days we have seen both Russia and China promising assistance and telling the Americans to back off. Venezuela can also play the ICC game. It can request the ICC to lay charges against the countries attacking it and can file a claim against the USA and its gang for damages in the International Court of Justice and request an order from that court to the US gang stop their aggression against Venezuela. 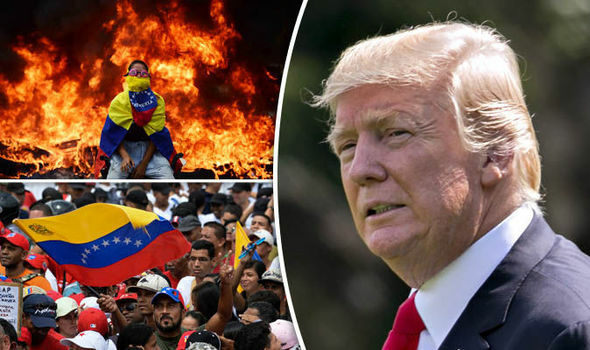 Venezuela can also use war without rules on its attackers and President Maduro hinted as much in a recent speech warning the Americans that they will not be immune from the consequences of their actions. In some way it appears as if the United States, its influence weakening in other areas of the world, is attempting to re-establish its one time dominance in North and South America. Canada has been long brought to heel and is just a whimpering poodle in the lap of the American state to the dismay of most Canadians who have no real say in anything. Mexico was once in their pocket but already there are signs of trying to undermine and slap down the new Mexican President Obrador whose social democracy is too left for the far right that controls the US machinery of power. John Bolton even stated that the “Monroe Doctrine” was the foundation of their policy to explain the US approach against Venezuela. The statement was a clear insult to all the countries of Latin America, the Lima Group included but it has no basis in international law. The Monroe Doctrine is not accepted as part of international law and never has been. It is a very simple statement that the Americans issued in 1823 just after most of Latin America freed itself from Spanish and Portuguese rule, proclaiming that the western hemisphere was an American region of interest and that any European intrusions into the area would be considered a hostile act. To resurrect it today as Bolton tries to do is an insult to all Latin American countries, and even Canada, since it means that the Americans view those nations as so many provinces of their empire. However there is a contradiction because the Americans now rely on assistance from the very European countries that the Monroe Doctrine was aimed against; Spain, Britain, France, Germany in order to advance their war against Venezuela. So its resurrection at this time shows American weakness, by relying on help from the same nations that the Monroe Doctrine claims to exclude from the region. Indeed, they heavily relied on these European interlopers to help them get their American puppet back into the country after he had left to try to stage a propaganda stunt at the Colombia-Venezuela border, a stunt that backfired and made them look like fools. On his return to Venezuela on March 4, Guaidò was met at the airport, likely preventing his deserved arrest, by some European ambassadors from Spain, France, and Germany, in particular. The US ambassador was not there. This means that supporting the conspirators in an attempted coup against the receiving state, Venezuela is clearly prohibited and is regarded under customary international law as a hostile act and Venezuela has the right to immediately expel the consular officials involved or the entire consulate. The German ambassador who seemed to be most vocal has now been expelled. Part of the hybrid warfare is the use of propaganda of course and an important element of the US propaganda is the resort to a claim that there exists a legal doctrine of “responsibility to protect” in international law. This doctrine does not exist in international law. It is purely an invention of the United States and its allies to justify their wars of aggression and violations of the UN Charter. Since they cannot obtain the support of the Security Council for their wars, because they are in violation of the obligation to keep the peace, and violations of the rights of every nation to its sovereignty and independence, the right not to be attacked in any way by other nations, they invented this phrase to justify the unjustifiable, It is nothing less than a pretext for wars of aggression and people should put it out of their minds as an argument for these wars. It is a bogus doctrine, a doctrine invented by fascists. Worse they base the resort to this false doctrine on false facts because the UN Human Rights Council sent a Special Rapporteur to investigate the conditions in Venezuela and the cause of them. The man assigned dutifully went there, investigated and dutifully filed his report which because it did not accord with what they had hoped he would report was suppressed and we only know about it through an interview he gave to the press. Mr. Alfred de Zeyas reported to the UN that it was the illegal economic sanctions imposed by the US, Canada and their other allies that are the principal cause of the hardships being created in Venezuela and that they are illegal and should be ended and that the countries imposing them should be charged for committing crimes against humanity, I could quote him at length but I think the reader deserves to read this interview in full as much as de Zeyas deserves to he heard. We can only hope that the ICC Prosecutor will read his report and act on it. But I won’t hold my breath waiting. The people of the world must protest this war, protest against these criminals who control the machinery of state in their nations for the crimes we see them commit against peoples in foreign lands so openly are the very crimes they are committing against us at home. We are all targets. No one is immune. The war on the people of Venezuela, and now, for good measure, Cuba and other socialist countries, against any form of socialism everywhere, is a war against us all.